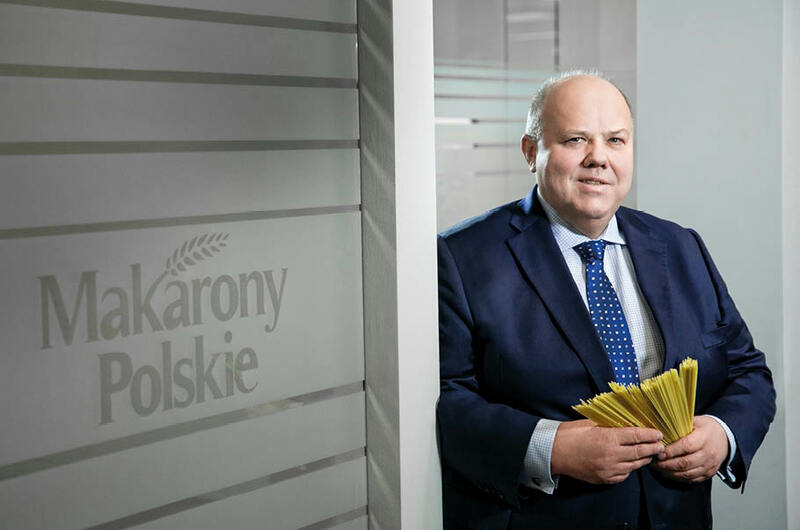 An interview with Zenon Daniłowski, President of the Management Board, Makarony Polskie Group about new products, challanges connected with export and future investment plans. What novelties can be found in the company offer and which of these products will go for export sale? Among the new products which have been recently introduced on the market by our company are high protein pasta made of lentil, chickpeas and green peas and pro-health pasta made of buckwheat and spelt. These products are innovative, they can be purchased in the biggest trade networks in Poland. They will also be exported to European countries. Following the SIAL Paris and ANUFOOD China fairs we hope that the products will also find new customers. The second group of products which we are introducing are snacks on the basis of apples – apple chips, and dried apple with dried blueberry mixes. The goods we are introducing are natural and very tasty. Which export markets has Polish pasta reached recently? What are the plans for the future? This year we have established cooperation with customers from Portugal and Scandinavian countries. Most of all we are developing our current relations with such countries as Ukraine or Egypt. Our presence on SIAL Paris and ANUFOOD China is dedicated to gaining new customers interested in the products of Makarony Polskie. In my view, products with a big export potential are only those of high quality made of natural Polish raw materials such as lentil, soya, peas, with the addition of eggs and fruit based goods. We do not plan on exporting typical pasta because the logistic costs are too high. What is the greatest challenge in such operations as pasta export? The biggest challenge is to adjust to the local market. As an example I will use markets on which we already have a big experience such as the Egyptian or Ukrainian markets. The products we are exporting, their name, taste and form are closely connected with the tradition of local markets, so these are not products we are offering in Poland. The biggest challenge for each producer is the respect for local clients because a local consumer will not buy products unfamiliar to themselves. Poland has its taste, its culinary traditions, but these may not correspond to the preferences of customers abroad. That is why our product is always adjusted to local tastes and preferences. Is export in this category a big challenge? Export sale is not easy; for products made by Makarony Polskie transport costs are the main barrier. It is difficult to export goods with a big volume to long distances because it increases the price. Competition is another challenge. For example on markets of African countries some suppliers are offering pasta at prices which for European standards are often unavailable. The fact that it is not possible to export only one product to a given country from a given country is also a barrier. If we want to sell we must be present abroad as Poland. If only single companies are exporting then there is no synergy and unit costs are very high. For instance thanks to the presence of many Polish tourists in Egypt the Polish product is recognizable and has a good opinion. What makes your products stand out against other products? Products of Makarony Polskie are distinguished by the fact that they do not only satisfy hunger but they also have a good influence on the general well-being and good condition. High quality, large protein and mineral content, appearance, taste and smell make our products valued by consumers on different continents.